Whereas my preparation for this trip was incredibly thorough (I will write a post on that later) and the journey down to California went off without a hitch, once we got there, things went a little sideways. I’d never been to LA and it was a learning curve. I’m very grateful that my therapist warned me about the vastness of the area and I had a few friends on which to rely for info (Patrick and SGV, I’m looking at you). 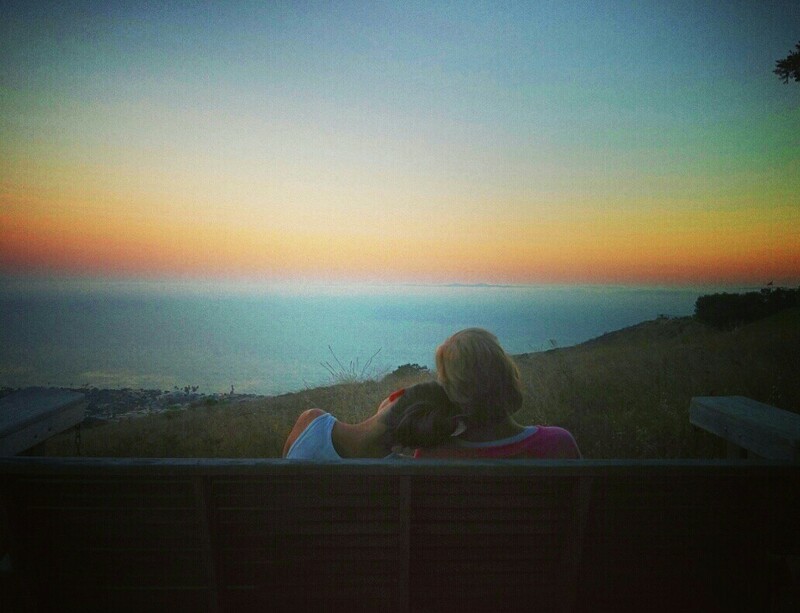 For example, I was told to look at Palos Verdes, which is a bluff above the city, overlooking the ocean. I thought it must kind of be like a bigger Queen Anne in Seattle, a neighbourhood on a hill. However, Palos Verdes has 4 towns on this hill. 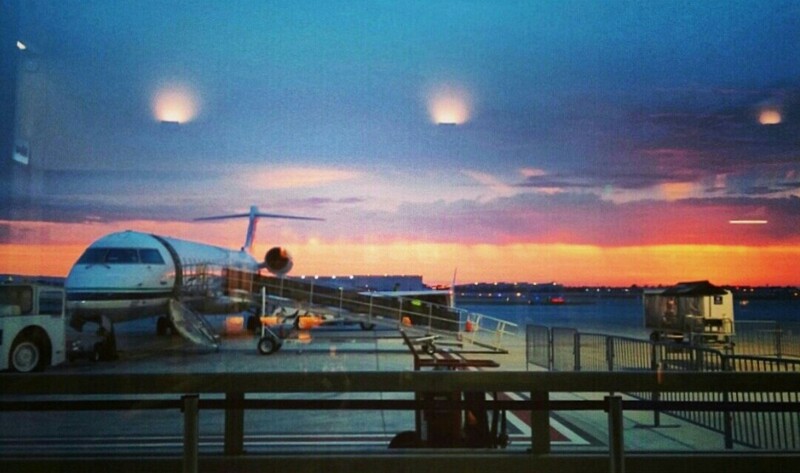 There are multiple airports in LA and they are all legitimate, proper airports. I know that sounds silly, but, in Dublin, there’s Dublin airport, in Seattle there’s SeaTac and some landing strips. I like to say, in Seattle it takes about half an hour to get anywhere — give or take 10 minutes. A childhood friend of mine lives in LA, but she lives hours away from where I was staying, to see her would practically be a planned road-trip. They are obvious differences — it’s a huge city, after all — but I needed to make a mental shift that I never did in London or New York, for example. Anyway, I was told that the heat and air quality in LA were awful — refineries sit very close to Dr. Chia’s office and stagnant air plagues the whole inland city. I was also warned of mold issues in beach areas. I was treating this as an 8-day retreat with my mother, whom I see rarely, a week to let my husband have some alone time and a test away from my home and dogs for the first time since I got sick. I was concerned about picking a rental in an area that made it difficult to sit outside. I imagined languishing in an air-conditioned house the entire time, with the garden being too hot and acrid and my being too sick to venture out to a different area. 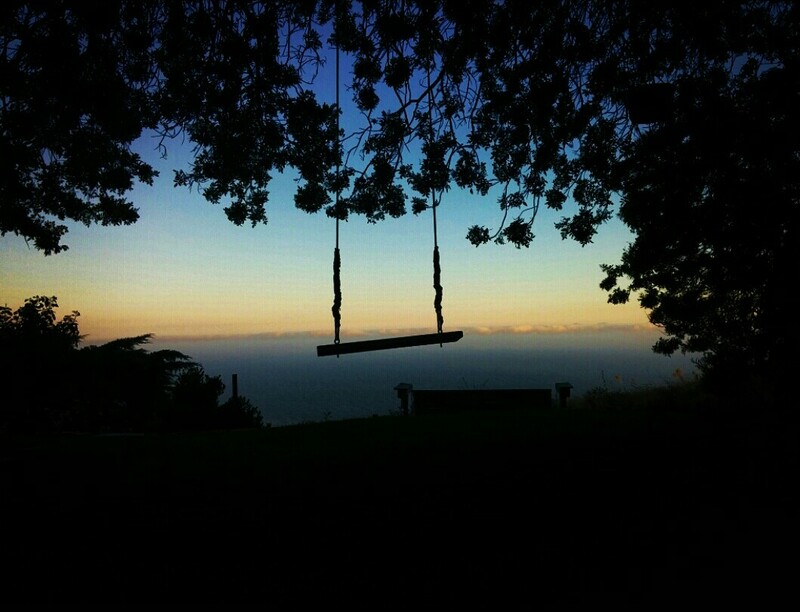 So, I found an AirBnB rental that was in Rancho Palos Verdes. The host was extremely nice, said it was quiet, there was no mold and they rarely had to turn on their A/C. It was about half an hour from the airport and 25 minutes to Dr. Chia. As we drove up the hill, the temperature dropped from the high 80s to the high 70s; it was perfect. The house was beautiful, with an expansive view of the ocean and it was sunny, but not too hot. I rested in the garden and watched the sunset, drinking up the view, so deeply submerged in gratitude, I thought it might overwhelm me. I never thought I’d be anywhere but Seattle again. Honestly, I thought I might not be anywhere but my house again. It was at once completely foreign and very familiar. I was taking in every scent and colour like an alien in our world, but it also felt completely normal, like the past two years were only two weeks and I was navigating just another part of the earth, like I have so many times before. Then the other shoe dropped. Huge, billowing rolls of fog came in off the ocean and the humidity shot up and the temperature dropped. The damp soaked into my bones and gave me a chill that never really went away. In person, this was huge ~ the photo can’t do it justice. I went back into the bedroom to rest and it reeked. It was like walking into a wall of mildew. The en suite bathroom had no fan and the shower head couldn’t be turned to stop the water from spurting all over the floor. The closet was moldy, the duvet was musty and the blanket was crusty with something spilled on it. There was more, like stained pillows, toilets backing up, dirty dishes in the cupboard, moldy food in the fridge, a filthy oven, loud construction in the lot next door, but none of that bothered me like the smell of the back rooms and bathrooms. Even my husband, whose nose doesn’t work as far as I can tell, commented on how bad the bathroom was. The whole house felt damp and heavy. Between 7pm and 11am, the humidity never dropped below 78% and the temperature was in the low 60s. I didn’t have very many warm clothes with me, but I put them all on. Every day, I would sit on the couch, wearing three layers of clothes, and wait for the first beam of sunlight to break through the clouds and then go out to that spot and bake myself, like trying to dry out a water-logged book. The day we left, the humidity was 96% and it was completely overcast. That’s, like, raining indoors. 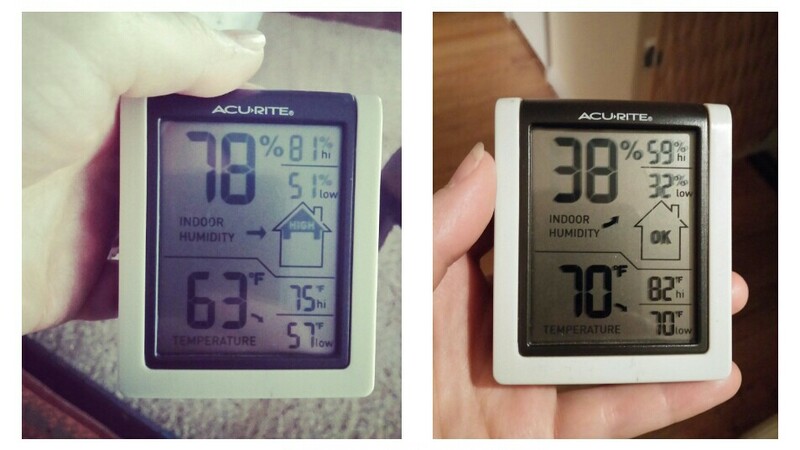 RPV bedroom on the left, my room at home on the right (humidity on the top, temperature in Fahrenheit on the bottom). I’ve never been so happy to be back in Seattle dryness in my life. After much deliberation, we decided to leave early. I was fine for those few hours that the sun was up and I could be in the garden, but with the forecast calling for a chance of rain and even more clouds, I had to get out. My breathing felt heavy and I didn’t know what I was inhaling while sleeping in that room, so I didn’t have a “safe” place to lie and rest. So we changed our tickets for the evening flight the day after my Dr. Chia appointment. There were only two flights a day out of Long Beach Airport and the morning would be too difficult on my system. If I don’t rest in the mornings, eat properly, poop properly, hydrate and salt properly, I tend to have crashes of one sort or another: blood pressure, blood sugar, weakness etc. Note to self: don’t choose the last flight of the night when you are sick, in a wheelchair and on a special diet. Our flight was scheduled to depart at 7:25pm, which was already pushing it because I wouldn’t get home until around 11pm, well past my bedtime. We were told the flight was delayed at around 7:15pm — there was engine trouble and a mechanic was coming to take a look at it. Of course, I knew immediately it would be canceled and it was the last flight to Seattle that night. They could have moved quickly and gotten us to LAX for one of a number of nonstop flights to Seattle, but, instead, we waited over two hours to be told at 9:30pm that the mechanic had finally arrived. My husband actually had us transferred to a flight leaving out of LAX at 8:55pm, but we wouldn’t have been able to make it there in time. Actually, we probably wouldn’t even have been able to get my suitcase in time. We asked about getting a hotel and were told there were no open rooms in the city. No hotel rooms in the whole of LA. Hhmm. By then, I had finished all the food I had brought for the flight (not much: carrots, cucumbers and a bunch of Terra vegetable chips) and was curled up with my feet on a chair and my head on the wheelchair, feeling woozy and slurry. Through all of this, my heroic mother stood in line to talk to a gate agent with the throngs of other people and did everything she could to fix the situation. 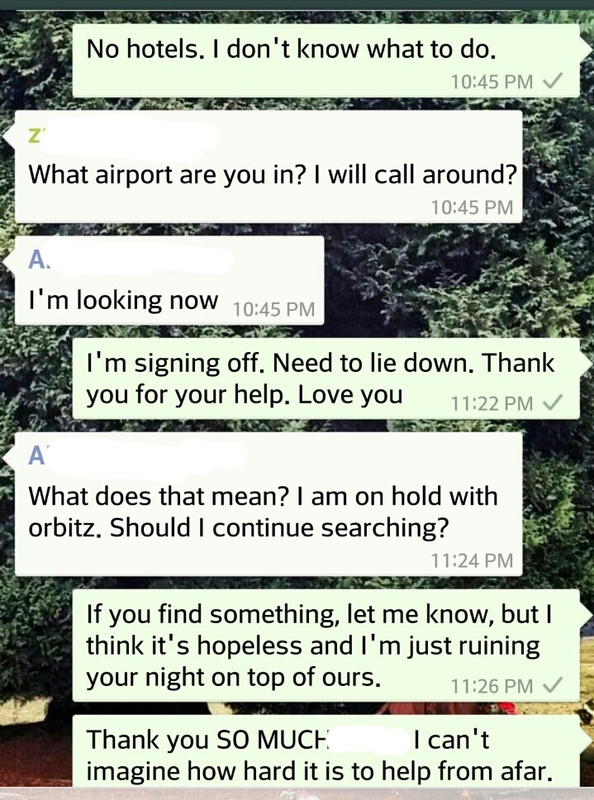 I had already spent a lot of time on my phone looking for a hotel to no avail, but I didn’t trust my efforts, so I asked my husband to help from Seattle (he had only come to L.A. for two days to drive and help get us settled). 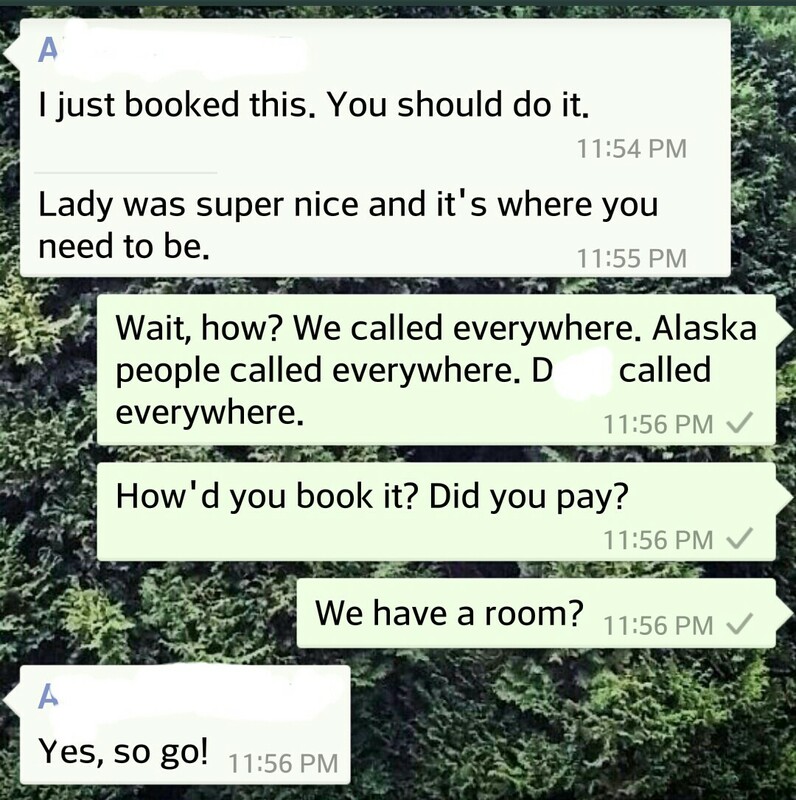 He texted me three motels that he found through Expedia, but we didn’t know if they were places that Alaska Airlines would refund, plus my mother still was holding out hope that the engine would be fixed, so we held tight. My sister, A, who was on a camping trip in Eastern Washington with no cell phone service had asked if she could help. So had my friend, Z, who was probably asleep after working and caring for her baby all day. I didn’t think there was any hope. I had tried (ineptly) to look online, my husband had tried from Seattle, the gate agents had tried every contact they had… even the airplane crew was stranded at the airport. At 10:41pm, my sister dropped what she was doing with her friends to help me, but I knew it was hopeless. I had a a new fun symptom develop around this time: my voice started coming haltingly, words coming out broken. It sounded like I was having a bad neurological problem, staccato speech, each syllable coughed out separately and slowly. It scared me. The incredibly kind and empathetic gate agent helped us get my suitcase and then wheeled it upstairs so my mother could push my chair. She showed us a couch where I could sleep and got us water. 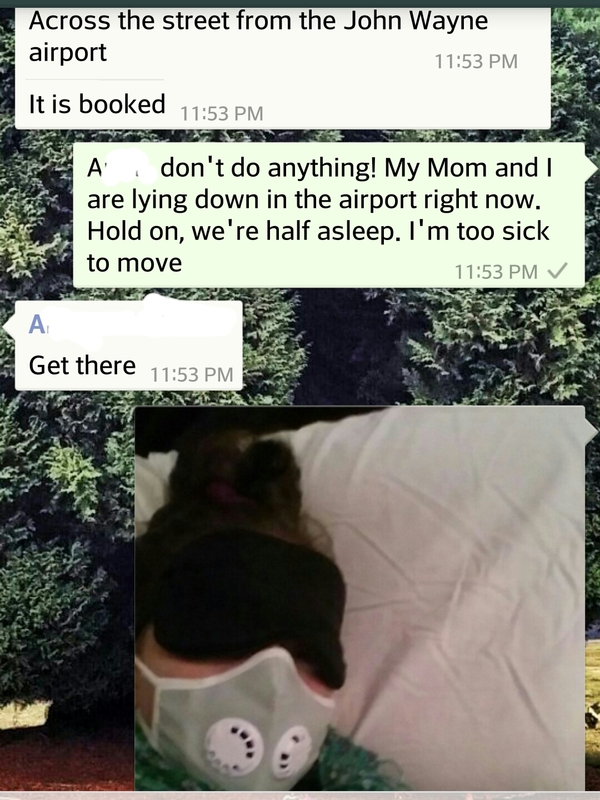 I got out my pillow, sheets, eye shades and ear plugs and texted my sister that I was done, signing off. That was 11:22pm. At 11:52pm, she texted to say she had found a room in a hotel — not a motel — for $164 — not $657 — across the street from John Wayne Airport — not in Anaheim or Palmdale, which is where the plane crew eventually found a room, 1.5 hours away. How could it be possible? I called the hotel: “Do you really have a room? For two of us? Even if it takes an hour to get there? ?” “Yes, Elizabeth, I talked to your sister, it’s all ready for you.” Disbelief. We packed up and — another angel restoring my faith in humanity — a woman also sleeping in the airport helped wheel our suitcases downstairs and outside the airport. Everything was deserted. The airport was effectively shut down. Tumbleweeds. And, then, as we were searching for a taxi number, one pulled up to drop someone off. Heaven sent. $75 later, we got to the hotel, they had a wheelchair for guests and a man helped us to our room. It was gorgeous. 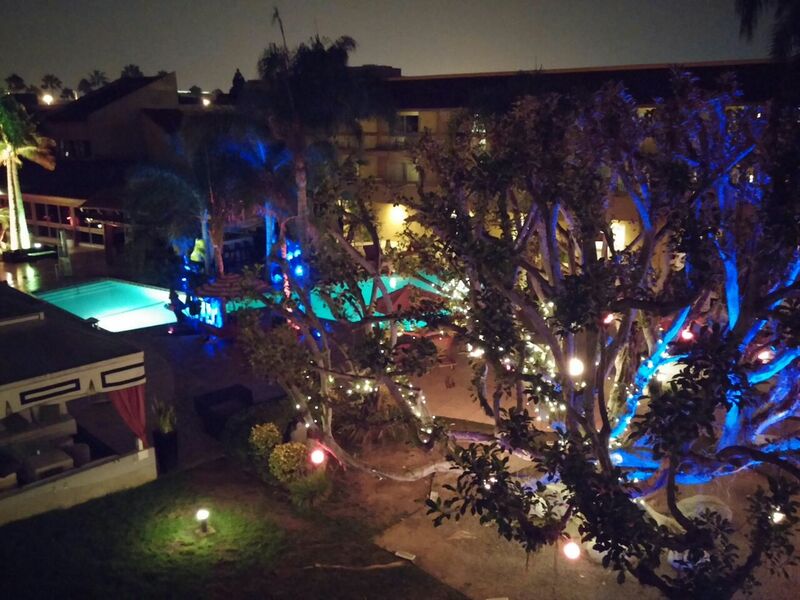 Two beds, a big balcony, swimming pools… By 1:30am, I was in bed. It was glorious. My sister moved mountains from the middle of nowhere and I will never be able to thank her enough. I didn’t sleep very much, of course, but I was able to recover more than I could have in the airport. My voice went back to normal, although I woke up nauseous, shaking like a leaf (not blood sugar) and with odd heart tremors. I mentioned how I felt on Facebook and Erik Johnson, of extreme mold avoidance fame, answered: “Take a shower. Wash your hair extremely well. Change into completely different clothes and put the ones you are wearing in a plastic bag.” It was like someone slapped me upside the head. Of course. I am in the habit of not showering in order to conserve energy, but showering is the only way to decontaminate — if not toxic mold spores, at least airplane germs and travel stank (from which I was definitely suffering). So I showered and changed into the only other clothes I had: a fun mix of compression stockings, shorts, tank tops and pajamas. I drank a salt and potassium water and was good to go. The shuttle to the new airport took about 3 minutes (again: how did my sister do it? Right across the street!) and the flight home was uneventful. My body even cooperated having only survived on plantain crackers, Rice Chex and vegetable crisps for 24 hours. 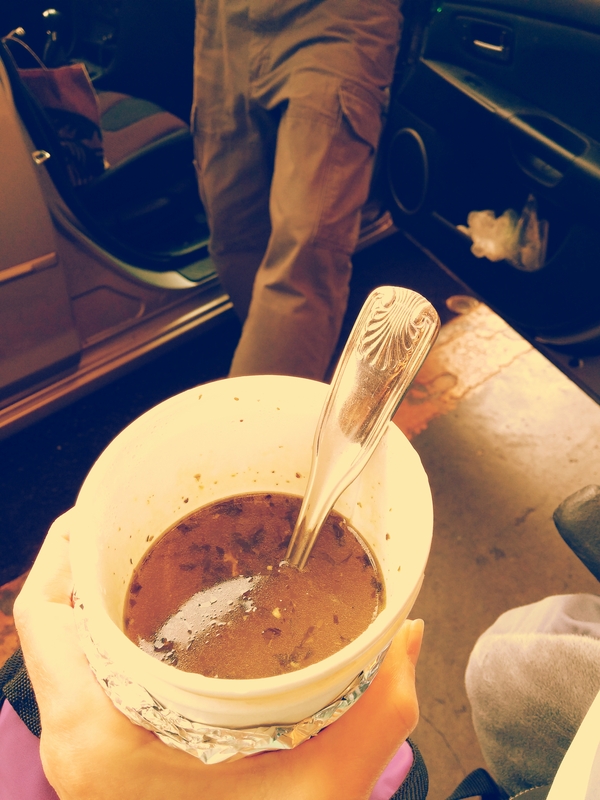 And my husband greeted me at the airport with chicken and kale bone broth. Liquid life force. Home is where the broth is. Although I don’t think the journey to see Dr. Chia was worth it (as in, I wouldn’t advise someone else in my situation to go — but more on that in my Dr. Chia post to come) and the rental was not ideal and the journey back was filled with Travel Worst Case Scenarios, I don’t regret the trip at all. I didn’t feel terrible after either flight. I thought they might be carrying me from the airplane and that I might spend days in bed with my meningitis-type symptoms in full flare, but that wasn’t the case. I was actually just fine. The worst I’ve felt since before I left is the last three days and I don’t even know if it’s payback from the trip because it’s so delayed. It could be something in my home. It could just be M.E. The whole expedition cost a small fortune and it was too much planning, packing and mental gymnastics for the few short days we were there, but I did it. We did it. My mother and husband were unimaginably brilliant and took every precaution to make it successful. And now we know how to do it, if we ever have to again. And I got to spend time with my Momma and create new memories. Priceless. This entry was posted in CFS/ME, My story and tagged airplane, airport, ALaska Airlines, angels, bad, bathroom, broth, california, chilled, cold, damp, energy, engine, exhaustion, fog, food, friends, gate agent, hotel, humidity, husband, LA, LGB, M.E./C.F.S., ME/CFS, mildew, mold, mother, mould, myalgic encephalomyelitis, ocean, raining, rancho palos verdes, RPV, SEA, seattle, shower, sister, sleep, suitcase, sun, symptoms, taxi, temperature, water. 1) You were so brave. I am happy you did this and proved to yourself that you can handle traveling — even when the worst case scenarios happen! — YES! I take into account brushing my teeth as an activity. Washing my face is an activity. Before I get up to pee, I carefully imagine myself doing it and take into account anything I should grab while I am up. When I was going to Dallas, people were wanting to meet me for lunch or suggesting I go here or there. I was so confused! I was just happy if I made it through each day of treatment. If I went anywhere aside from the treatment center in a day, I was really proud of myself (and incredibly sick and exhausted). Jackie, I’ve been wanting to write an entire post on that subject. I was recently explaining to my husband that I have two flosses – one thinner for when I’m really weak (my teeth are close together) and one thicker, which does a better job, but takes more energy to extract from between my teeth! Who has to think about things like that?! No one should have to think about things like that! I am happy for you that you made it! All the things that happened would be hard even for healthy people, but you did it! I’m sorry to hear the visit to Dr. Chia wasn’t worth though. That must be disappointing. My desire to ever visit L.A. (which was nonexistent) has dropped even lower. It sounds like the complete cesspool that I’ve always imagined it to be. Mold, mildew, smog…yuck! I guess we do have it pretty good here in Seattle! Ha, Trisha, I feel like Seattle is the best kept secret! How about this summer?! You definitely are a warrior! I’M CONFUSED; HOW COULD YOUR HUSBAND SMELL THE BATHROOM; I THOT HE WAS BACK IN SEATTLE?? ANYWAY, I THOT I WAS READING A HOROR NOVEL FOR AWHILE–TELL YOUR DR CHI HE NEEDS TO RE-LOCATE! WHAT A HORRIBLE LOCATION FOR A CFS SPEC–SHEESH!! THANK THE LORD FOR A WONDERFUL SISTER–I TRUST HE ALSO HAD A HAND IN GETTING THIS HORRIBLE SITUATION SORTED OUT!! BLESSINGS, BRAVE GIRL! GOTA LOVE SEATTLE, EH?? BJ. I edited my post to clarify, BJ. My husband came down with my mother and me for two days, to drive, shop, help get us settled, and then my Mom and I were meant to stay for a week alone while he got some caretaking-free time in Seattle. How strong you must feel to have made it through your voyage. OJ mWell done! My last airplane trip involved 3 Epi-pens, so before I’m able to fly again, I have to have either a major shift in my allergies or in my ability to manage them!! I used to fly all the time, as I live on the West Coast, and my family lives in Ontario. For now, they’ll be coming to visit me… I’ll be sure to share my travel points! Holy crap, that is terrifying. If I had to use an EpiPen on a flight, I’d never fly again. I have some serious PTSD from anaphylaxis and it was never close to that bad. You’re very brave. Thanks so much for the compliment! I fortunately don’t have too much fear related to the anaphylaxis- I think because I have never not had my epi with me, nor have I ever had to be intubated, so I have managed to avoid the really scary stuff! I’ve written an account of that flight- I should put it on my blog. I flew to Toronto to say goodbye to my Mother, so not going wasn’t an option. We had lots of consternation over how to get there- but really, flying was the only viable option. I hoping I don’t have to fly again until I get better control- if I were to have to go back, I’m sure I’d sort something out. Fortunately, my family is able to come out and visit me. I don’t get to see everyone as often as I’d like, but I’m hoping that this is one area of my life that I will be able to change for the better! It also limits my treatment options- as if I were to try to go to the US, I would be limited to the Pacific Northwest. Any great mast cell docs there? I also must say- you were very brave to travel too- I think anybody who has a major challenge, and undertakes traveling, is very brave. We have to control our environments so well, that it’s a huge deal to be thrown in to a situation which is, by it’s very nature, a massive change in environment. I’m glad you’re home in our amazing summer- although I may have found it too hot without air conditioning, I love the fact that the weather isn’t changing every day. Definitely no complaints about the sunshine! (Shhh, don’t tell anyone else, we have to keep pretending it’s rainy all year round!). First, I want to tell you I think you have balls of steel (feel free to delete “balls” if you don’t want that here on your blog! ),and I mean it. I can not IMAGINE going through what you did without ending up babbling in an asylum somewhere. Second, that whole beach and glass chapel thing….if you were well enough to be a tourist, this whole trip to see the doctor probably wouldn’t be happening, because you’d be well! Sigh…people…. Third, I know for me, the neurological stuff is the scariest, especially when it comes to speech. I’m really glad that was fleeting and seemed to pass. I’ve had similar things happen frequently, and they’re horribly upsetting. Fourth, I actually started laughing when I saw your temperature and humidity gauge, because I have the exact same thing!! I wish the appointment had gone better for you, but well done on all counts. What a great comment, thanks, Christine! It shouldn’t, but “babbling in an asylum somewhere” made me laugh out loud. That’s what I thought would happen, too. Thankfully, the neurological “stuff” is more fleeting these days, but it happens often enough to be scary. The speech-stuff is the WORST!! I’m so proud of you for going. looking forward to hearing how the actual doctor appointment went. Such a long way to travel and a lot of money to spend for one appointment, and I’m glad you were able to enjoy some of it with your mom and make some new memories. I’m happy to hear you are back home and doing okay. I have an idea of why you didn’t flare yet, and I think it’s the adrenaline of having to make it through that situation and you will probably have the after affects and post exertional malaise for a while now that you are back at home, just because that is how M.E. seems to work. I am curious if the docotr accepts it as M.E. because I don’t think in the States it is recognized as M.E. They call it CFS, yet I’ve heard it argued a few times that M.E. and CFS are different illnesses by those in other countries diagnosed with M.E. Thanks so much for rooting me on. I think you were right that the trip caught up to me a little later than expected, but payback was still so much easier than I anticpated. Dr. Chia did call it ME, actually, even though his nurse wrote “chronic fatigue” on my chart.